Hallstatt, Austria - A place that you've likely seen on postcards or on the travel channel! This beautiful lakeside village was such a dream for us to visit! It is so Austrian and charming and a great place for families to explore. There are so many things to do here including the Skywalk lift, boating, hiking, museums, shopping, eating, and more! We also loved how picturesque the town is which lots of photo opportunities to help us remember the lovely Austrian town. We came on one of the busiest weeks of the year and it was still enjoyable. During our time in Hallstatt we stayed at the mountain hotel Lodge Krippenstein which you can read about here. It was not for from Hallstatt and easy to come into the city during the day to explore. 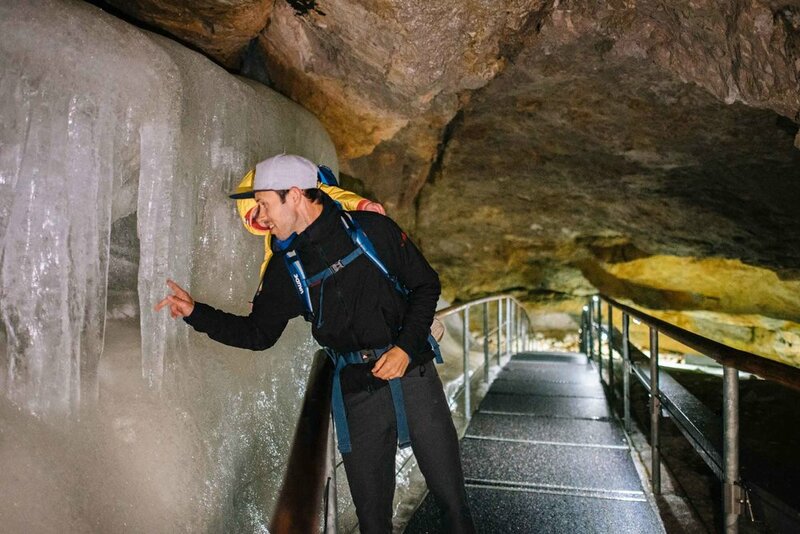 We also did an amazing cave tour at the Dachstein Giant Ice Cave. This cave was incredible! The tour was family friendly and very informative. We appreciated that they did the tour in German AND English so that we could understand the history of the cave. We especially loved how they timed the music and lights with the ice monuments! Just amazing! 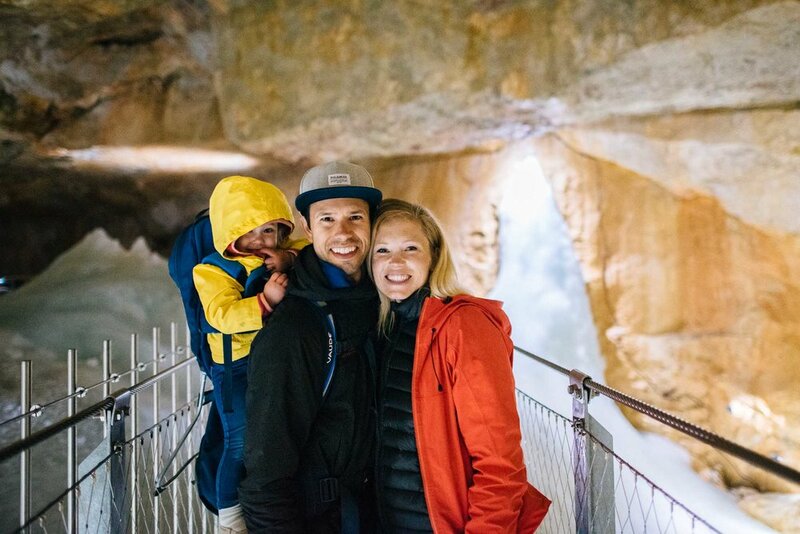 We'd highly recommend spending a day on the mountain and including the Ice Cave as a part of your day.